Baroness’s now-classic formative material finally sees a proper reissue with their first two 12-inches compiled as one deluxe LP. 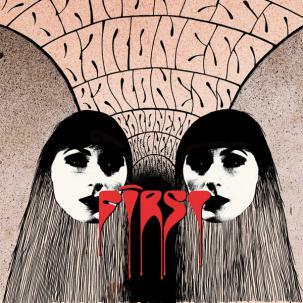 A lot dirtier, punker and more metallic than their current rock-infused, catchy weirdness, First & Second is an important document in the lineage of this excellent band, and all 38 minutes of music have been completely remixed and remastered for a much fuller sound than ever before. Housed in a beautiful gatefold jacket with guitarist / vocalist John Dyer Baizley’s elaborate and intricate artwork (spread through the exterior, interior and printed dust-sleeve), this foil-stamped beauty comes on complimentary both black and clear colored vinyl.